Pilot 3" Television, this was the first under $100 set. 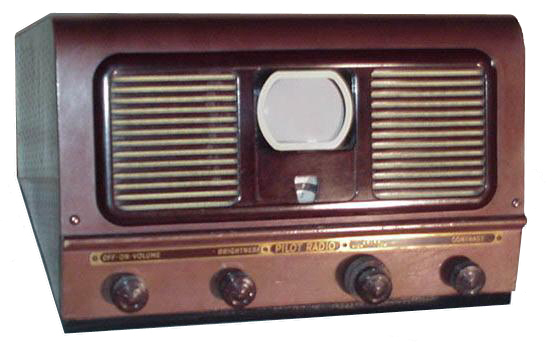 Offered in 1949, low and high band continuous tuning. A magnifier and carrying case were available also. Drawbacks of this set are 3KP4 picture tube is almost impossible to replace; series string filament circuit is very hard on filament of CRT.